Packing is one of the most crucial processes that is needed to be done before traveling. It needs to be planned well, and the items that you need to bring must be double-checked for assurance purposes. 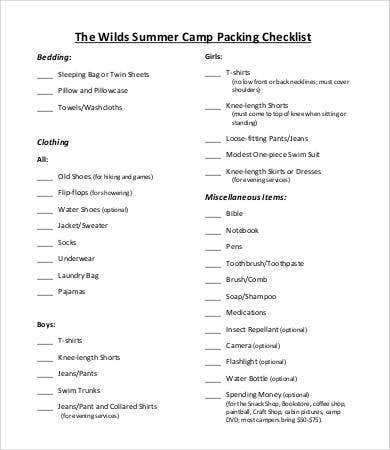 A packing checklist is very much needed in this situation as its functions can help the one packing in so many ways. You may also see Checklist Samples. 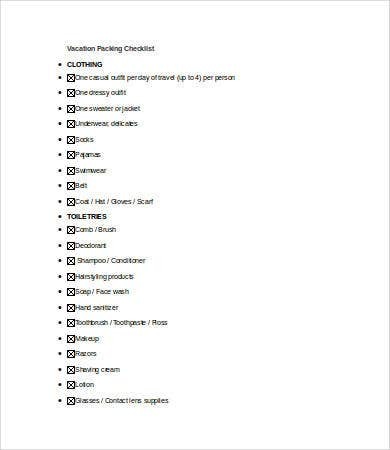 A packing checklist is a document that lists everything that a person needs for his or her upcoming travels. 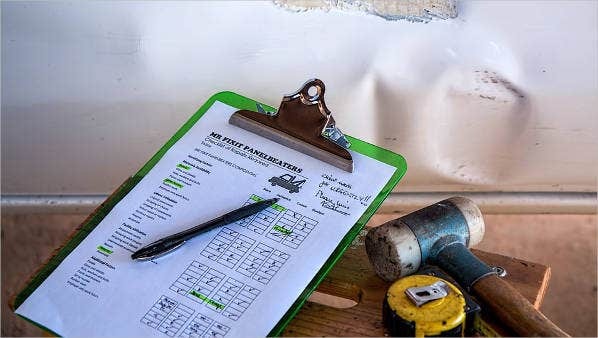 You may use our downloadable Checklist Template samples as a guide on how to create one. 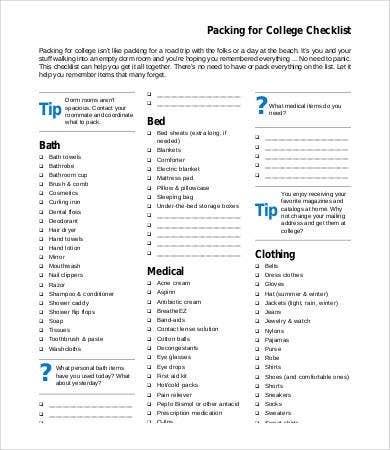 Make sure that you have your packing checklist the next time you travel so it can provide you with an easier travel preparation and a trip that is complete with the essentials that you need. The size of the bags that you will be using. You first need to know the capacity of the bags that you will be using in terms of holding items that you would be bringing. Having a limited bag space will allow you to prioritize on what is really needed for the trip and remove excess items that you can go to the trip without. Also, if you have more items than you expected, it will allow you to use another bag or know right away before travel time that you need extra luggage. 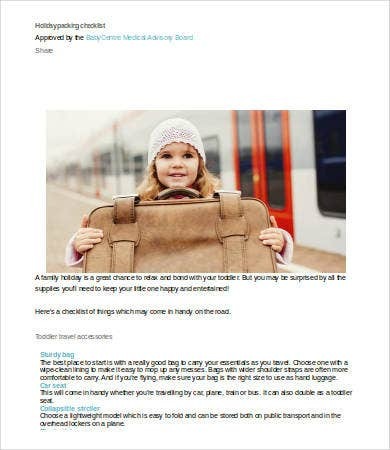 This will be helpful, especially if you will travel through air where baggage allowances are limited or should be purchased should there be any additional on what has been previously booked. The duration of travel. The amount of time that you will be away is also an essential factor. 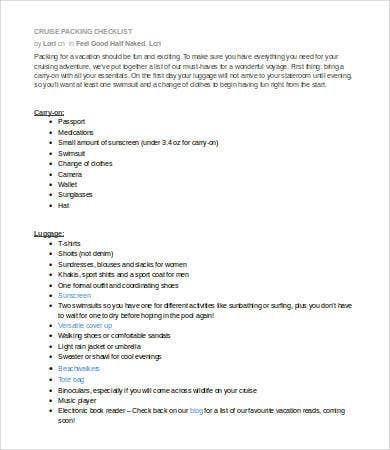 It will be easier to create a checklist if you already know the items that you need for a specific number of days. It will allow you to plan outfits and the number of clothes per item that you need to bring. Also, it helps you to assure that you can survive traveling on those number of days in terms of money, food, hygiene kits, and other things that are important to be measured when traveling. The purpose of travel. 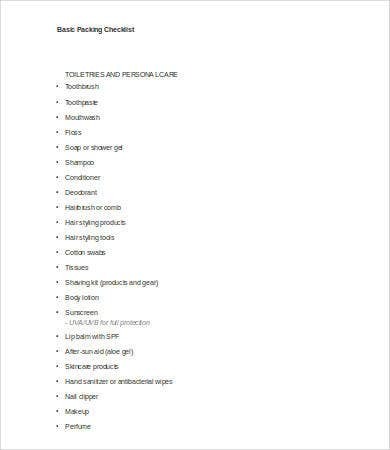 Creating a checklist is easy should you know the purpose of travel. It helps you to prioritize items and materials that are of specific purpose depending on the needs of your travel purpose. Once can travel because of business, camping, vacation, and other activities. 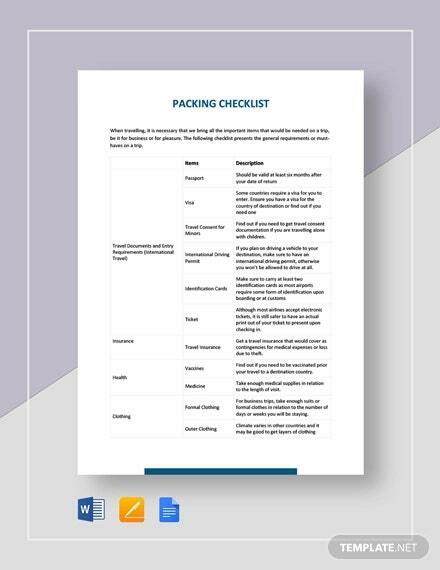 For specific usages, you may browse through our Vacation Checklist Template and Camping Checklist Template samples and use them on their specific purposes respectively. 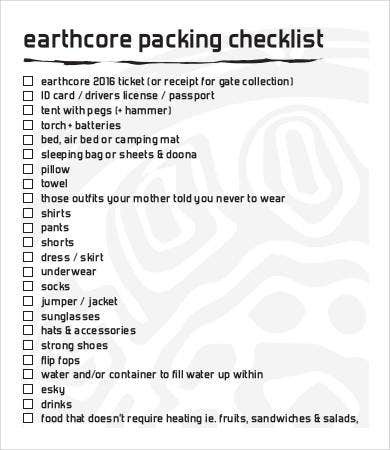 Remember to always plan ahead so you can bring all the necessities a trip requires you to have. 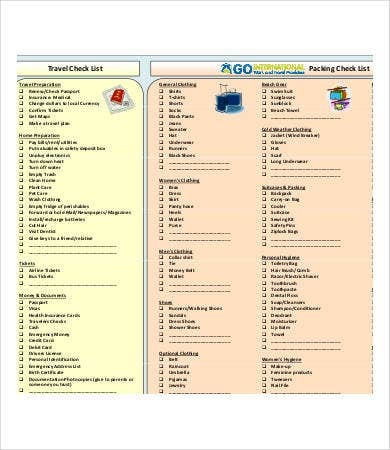 You can use our Travel Checklist Template as a reference regarding this matter.